Finnair announced it will be adding frequencies on many popular Asian routes for next summer to continue its strong growth in Asian markets including double-daily flights to Hong Kong and additional flights to Japan. 3 weekly flights will be added on the Helsinki-Osaka route during the summer season starting on 31st March, 2019. 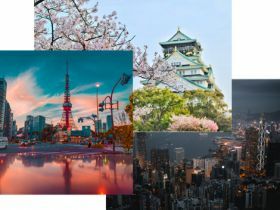 Finnair will operate double-daily flights on the Tokyo route for the entire summer season. In addition, Finnair will fly double-daily to Hong Kong with the new Airbus A350 year-round as of 2019 summer season.